Inspired by the lakes surrounding Olecko, Delphia has progressed from a family business to becoming a manufacturer of some of the finest sailing and motor boats in Europe. 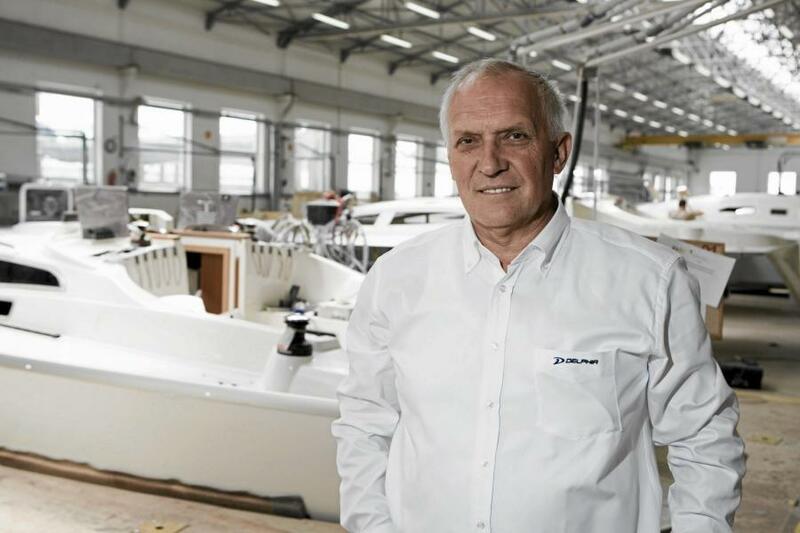 Established in Olecko in 1990 by brothers Piotr and Wojciech Kot, Delphia Yachts has gone from strength-to-strength to become Poland’s largest manufacturer of sailing boats (with more than ten models), as well as a respected name in the motorboat industry. The passion to create beautiful, high quality boats has been Delphia’s ambition for more than 20 years. Each year the shipyard produces over 150 individual sailing yachts and more than 1000 motorboats, including those delivered for long-term sales partners such as Brunswick Marine and many others. The boats in Delphia’s fleet range in length from 7 to 15 metres. The flagship sailing vessel, and the most popular, is currently the Delphia 47. It’s a wonderfully comfortable yacht rich in features, offering clients a wide range of custom options. The scope for tailor-made aspects of the Delphia 47 have made it particularly popular during the economic crisis as many competitors have veered towards cost-cutting standardisation with little space for changes. In order to secure a continued growth, Delphia focuses much of its efforts to ensuring that innovation remains one of the pillars of the business. The company has an excellent prototyping department which means it is also able to work with a range of clients beyond the sailing and powerboat industry. Delphia parts are also used on planes, trains, trams and other vehicles. Nevertheless, the core area of activities is the sailing and powerboat market and Delphia manages to be at the vanguard of this particular sector in Europe. Almost every Delphia manager has tens of thousands of nautical miles to their name. When a new model is nearing the market, employees are encouraged by the company to carry out trials so that every detail of its performance can be analysed and optimised. Delphia also co-operate closely with leading educational institutions in Poland, as well as with the Ship Design & Research Centre, where the prototypes are examined and tested. The company has also addressed the need for environmental prudence in all areas of its operations over the years of growth. Building a boat is a complex process requiring special technical knowledge. Delphia has this knowledge, experience and the advanced technology necessary to build yachts of the highest quality. Each boat leaving the yard is one of a kind, designed in accordance with each client’s unique specification.